Real Money Maker. Business has constantly generated sales of over $400,000 yearly. Great Reviews on YELP, GOOGLE. In place for more than 20 years. 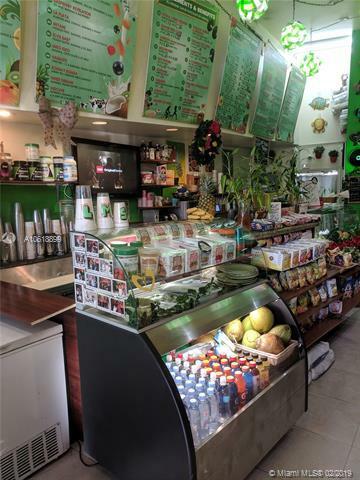 Fast casual establishment serving a healthy combination of Wraps, Sandwiches, Salads, Juices, and Smoothies. Business focused mainly on take out and delivery (Grubhub, eat 24..) Easy to take over. May qualify for an E2 Visa. Owners need to sell for family reasons. EXCELLENT OPPORTUNITY to acquire a well established, turn-key business, very well located in Miami Beach. New grease trap recently installed. Rent of $6742 includes water and waste management. NDA and proof of funds required. Inventory sold separately. Owner will train for smooth transition. Equal Housing Opportunity.